Kick off your shoes, take the weekend off and join us in Pyongyang for this short-but-sweet tour of one of most fascinating places in the world! 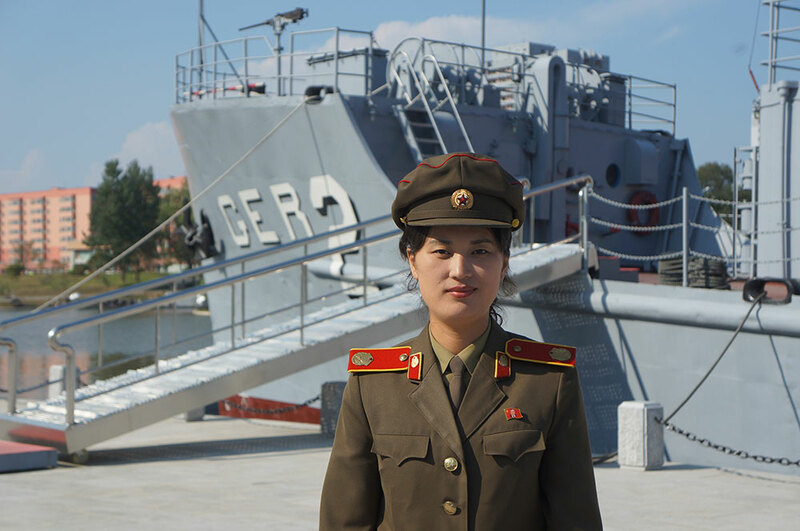 Be transported to another world as you explore Pyongyang and visit all of the iconic DPRK monuments such as the Tower of Juche Idea, take a ride on the Pyongyang metro (the deepest in the world) and see the newly renovated Fatherland Liberation War Museum alongside the USS Pueblo. 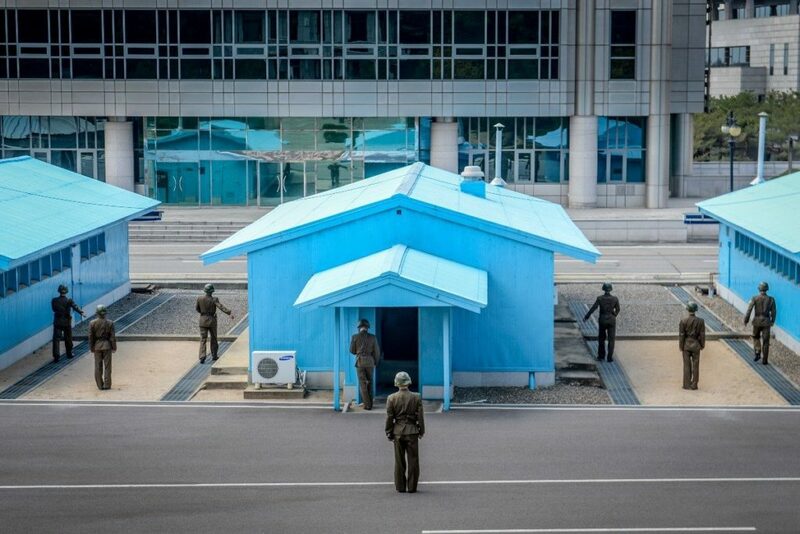 On the second full day in the DPRK, take a road-trip to the DMZ, the border between the North and South Korea and learn a different perspective of history. Arrive back in Beijing in the morning, a perfect weekend getaway. At 10:30am, meet us in Terminal 2 of the Beijing Capital International Airport before heading to check-in as a group (flight times to be confirmed but usually Air Koryo flights depart at 1pm). We will hand out your DPRK visas at this time. 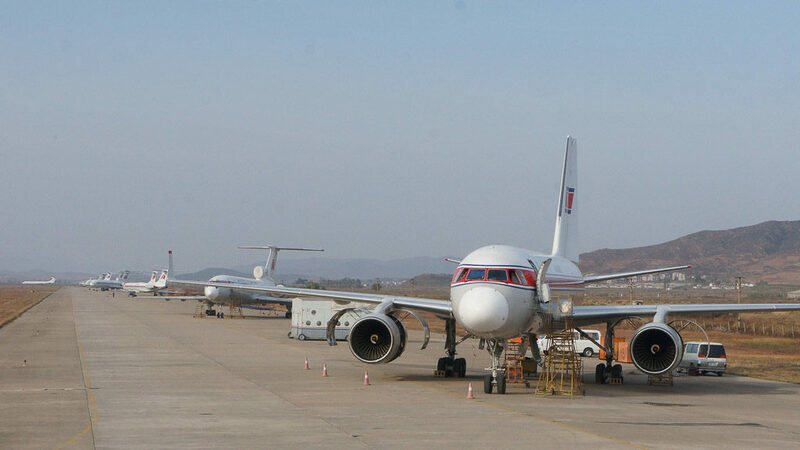 We will then fly to Pyongyang, the capital of the DPRK and home to many of the most iconic monuments and political sites. Our Korean tour guides will be meet us at the airport with a warm welcome. En route to the hotel, we will stop at the Arch of Triumph, the world’s largest triumphal arch. From the top, we will get our first panorama view of Pyongyang city! 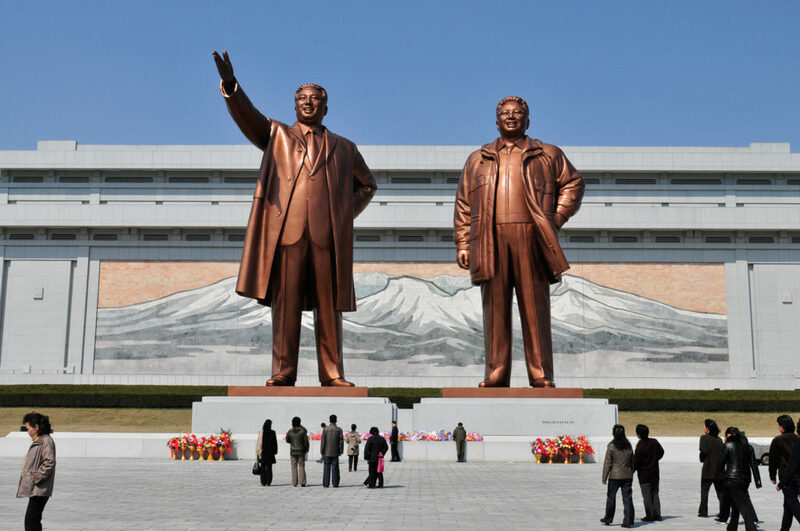 Afterwards, we will head over to the Mansudae Grand Monument, an important site famous for its large, bronze statues of President Kim Il Sung and Chairman Kim Jong Il. It is customary to bow and lay flowers here. Afterwards, stroll through the Mansudae Fountain Park, a serene meeting spot for students and an often used backdrop for wedding photos. We will then check into the Koryo Hotel, our deluxe accommodation in the heart of Pyongyang popular with local residents, foreign diplomats, delegations, NGOs. Our welcome dinner will be in style at the Koryo Hotel’s top floor revolving restaurant! We will then have an optional visit to the Kaeson Youth Amusement Park where the thrillseekers among us can brave the rides with Pyongyang locals on a night out. We will start the morning off with a visit to the Kumsusan Palace of the Sun, the grand mausoleum where the late leaders lie in state inside glass sarcophagi (closed in May and June; formal dress required). Afterwards, take a walk in the Kim Il Sung Square, the 3rd largest public square in the world and home to many of the North Korean military parades broadcasted internationally during important holiday events. Take a stroll through the city to the Foreign Languages Bookshop which provides the best chance in the DPRK to pick up postcards, publications, posters and other trinkets that make perfect souvenirs. Then visit the Grand People’s Study House, an extensive library used to further education and the heart of study on the national Juche ideology. The viewing deck here provides a great photo opportunity of the Kim Il Sung Square and Taedong River! After lunch, we will visit the Mangyongdae Native House, the birthplace of President Kim Il Sung. We will then head deep underground to take a 5-stop ride on the Pyongyang Metro, the deepest metro in the world also filled with mosaics, monuments, and plaques commemorating the DPRK’s revolutionary history. We’ll then learn about the DPRK’s defining ideology, the Juche philosophy, on a visit to the iconic Tower of Juche Idea. For those who wish to take the lift 150-meters to the top, you’ll enjoy the best views in Pyongyang city! We will then visit the massive Monument to Party Founding, built to commemorate the 50th anniversary of the foundation of the Workers’ Party of Korea, recognizable by the communist hammer and sickle but with an added North Korean twist! Catch an evening performance of the incredible Pyongyang Circus (extra 20 Euros paid at the door). Afterward, we will visit either Golden Lane Bowling or Meari Shooting Range and then follow up with a casual evening walk on the new Ryomyong Street, home to Pyongyang’s most extravagant apartment complexes and opened in just April 2017 to international media attention. Dinner will be at a local Korean BBQ restaurant, a favorite among locals where we will cook our own meats at the table! For lunch, enjoy Pansanggi, a historic Kaesong cuisine traditionally served for royalty. Afterwards, stop at the original Sonjuk Bridge, a UNESCO site. On our return to Pyongyang, we will visit the newly renovated Victorious Fatherland Liberation War Museum and the USS Pueblo in its new spot (the “American Spy Ship” captured in 1968). For dinner, we will have Korean bibimbap and get the chance to taste local Korean draft beers at the Taedonggang Microbrewery.